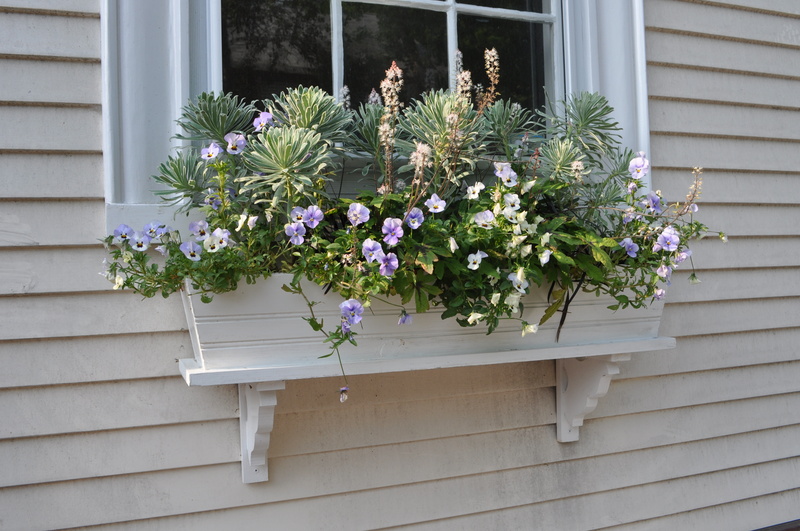 The Nantucket window boxes and the roses in my past blogs set the stage for the beauty of the Island, but at the end of the day (or the start) you have to EAT! 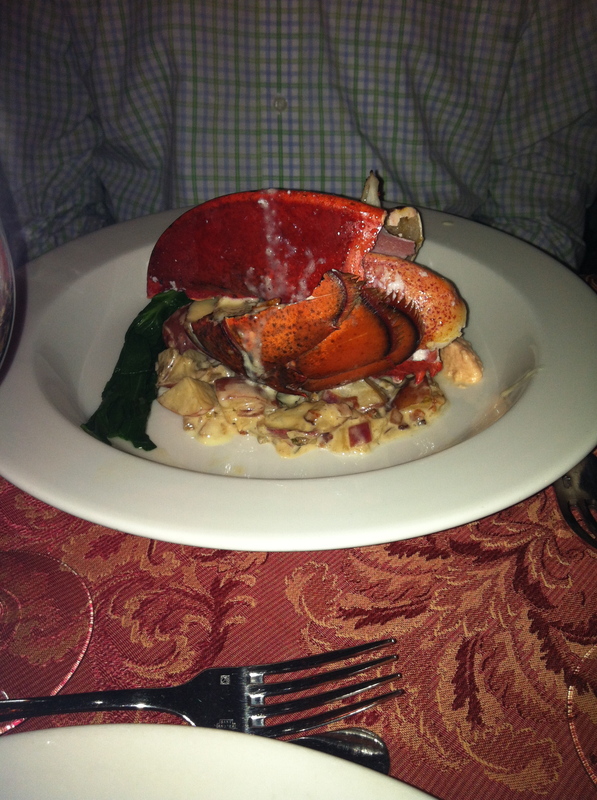 Nantucket is a great place for every range of culinary taste. If you are headed for Nantucket in July and August, your reservations for the best restaurants need to be done in advance. And if you want the best breakfast on the Island, you must go early or stand in line (but worth the wait) at Black Eye Susan. This year our Santa Fe son was supposed to join us but his work schedule got in the way, however he was oft on our mind. 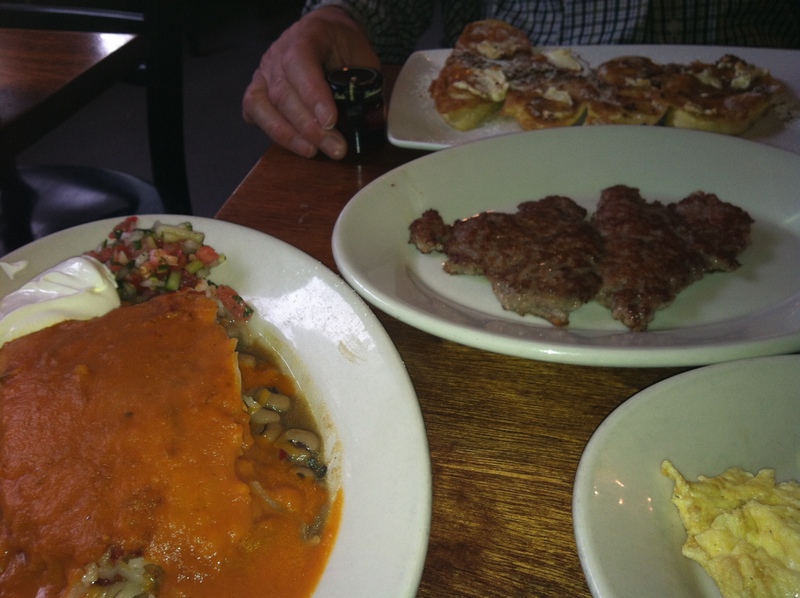 … We ordered a side of Southwestern hash at Black Eyed Susan’s on India Street as a nod to his cuisine in NM! Our tastes have changed over the years of our stays on Nantucket and that is fine because there is something for everyone. Our favorite restaurant of the last couple years has been Company of the Cauldron. The tiny intimate darkened setting is romantic, the waiters pleasantly knowledgeable and the chef inspired! A great place to go with friends for quiet conversation or with your sweetheart for a special evening. There is a set menu for each night so be sure to check that, especially if you are, like me, disavowed to eat red meat or all things that stand on four legs. Lobster night worked for me! Are you hungry yet? 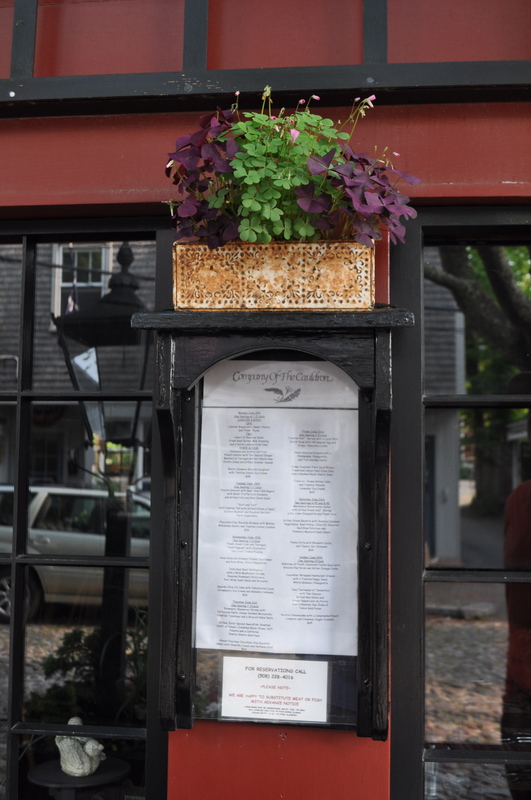 I will bring you more suggestions for dining on Nantucket in the days ahead! This entry was posted in Uncategorized and tagged Black Eye Susan, Company of the Cauldron, lobster, Nantucket window box. Bookmark the permalink. your post makes my mouth water!!!! What a splendid overview you’ve provided us! Love the top box. One of the best I’ve ever seen and the oxalis is very cute.